Most authorities agree that laparoscopic inguinal herniorrhaphy is an excellent option for patients with recurrent hernias after a failed conventional operation in the anterior space or for patients whose hernias are bilateral. 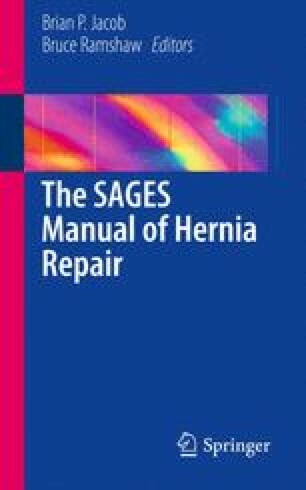 However, there is lack of agreement as to the best approach for the uncomplicated unilateral hernia as many feel there is not enough benefit in this group to justify the added expense and the slight possibility of serious complications or even a fatal operative accident with laparoscopy. In this chapter, we present the current available literature on the pros and cons of open versus laparoscopic repair of a unilateral, nonrecurrent inguinal hernia.